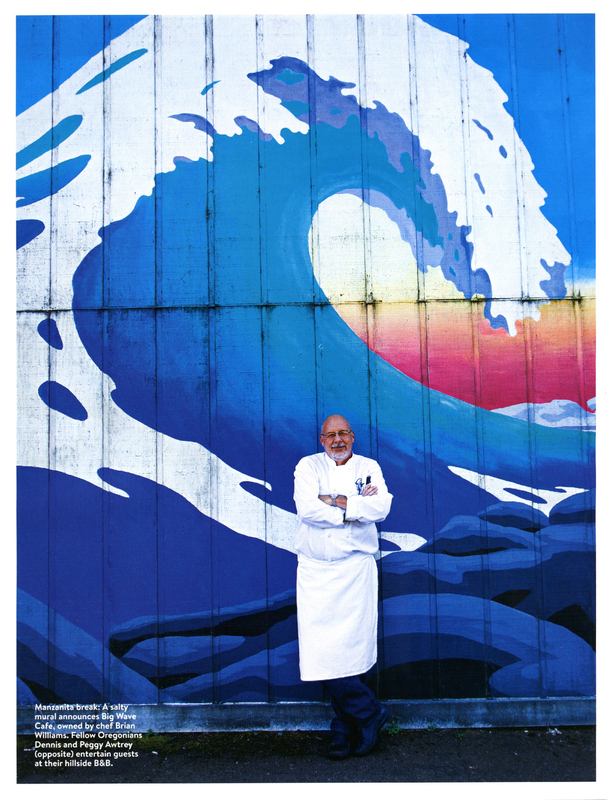 One of the best places on the Oregon Coast is the town of Manzanita. It’s only about two hours from Portland and Neahkahnie Beach, which fronts this beach town, is one of the best beaches in the state. The beach is 7 miles long and very flat, making it ideal for walking, throwing a Frisbee, or finding a nice piece of driftwood on which to sit and watch the gorgeous and powerful Pacific Ocean. It never feels crowded here, yet there’s always someone walking a dog or playing with their kids, or even riding horses! The town of Manzanita has an amazing grocery store with a fantastic deli for a picnic lunch as well as a marvelous bakery where you can get hot cinnamon rolls and a great cup of coffee along with hand-made bread. On top of all this there’s the Cloud and Leaf book store, so if you are there on a rainy weekend, you can pop in and find a good read. With its Bed and Breakfasts and lovely little restaurants, for a weekend getaway at the ocean, Manzanita is hard to top. I was very excited when I received this assignment because I have spent many weekends and day trips here, so I know the place well. However, being able to frame my adventure with a photo assignment gave the trip an added dimension. Since the story wasn’t simply about Manzanita but part of a larger story about Great American Beach Towns, it was a way for me to demonstrate my Oregon pride. I moved here from the Midwest in 1988 and never looked back, largely because of the natural beauty Oregon has to offer, from its grand beaches like Neahkahnie, to the Cascade Mountains, the wine country, the high desert, the Painted Hills, Crater Lake and the Columbia River Gorge. 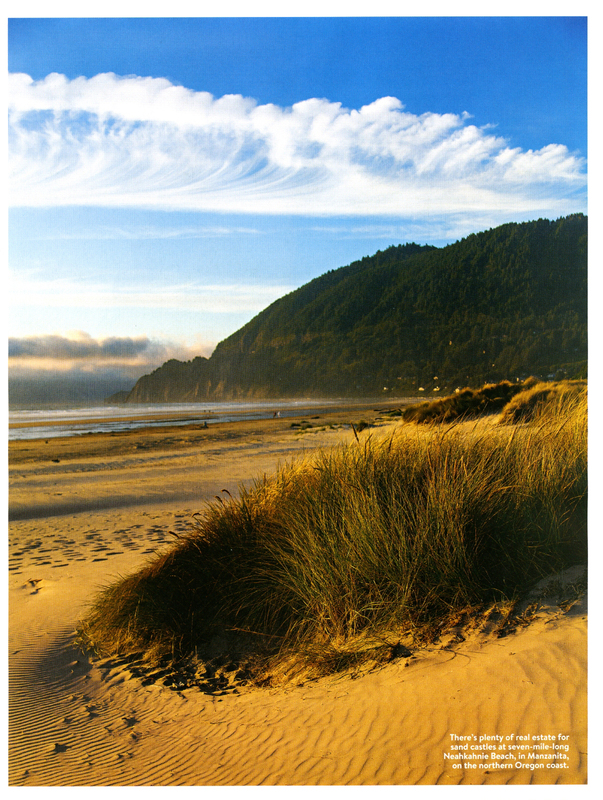 Manzanita is a perfect example of what makes living in Oregon so wonderful. I hope that this story inspires you to visit Oregon. You can see the online gallery of pictures from National Geographic Traveler’s American Beach Towns here. I am extremely pleased to have one of my pictures grace the cover of the newly redesigned National Geographic Traveler Magazine. 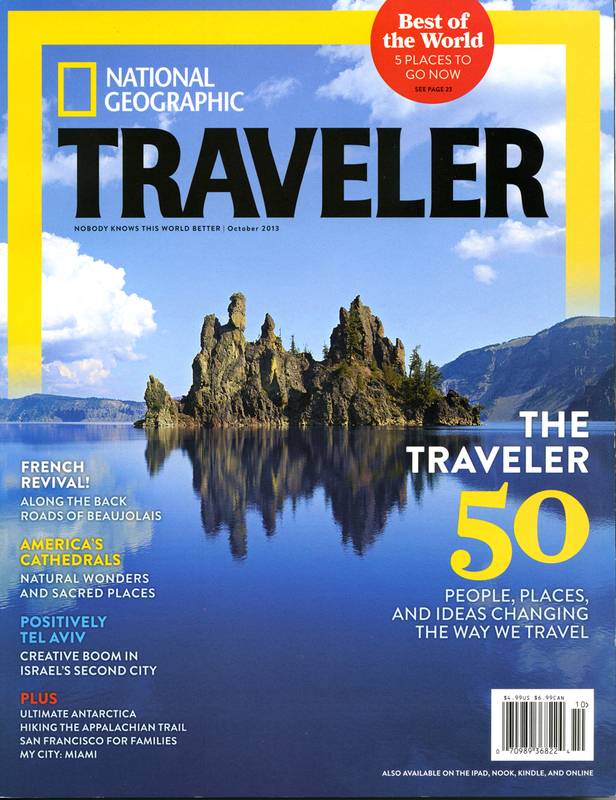 The cover image for National Geographic Traveler Magazine’s October issue is of the “Phantom Ship” rock formation in Crater Lake. Crater Lake National Park is the only national park in the state of Oregon. We had hiked down the Cleetwood Trail to access the boat ramp and took a guided tour on the surface of the lake. The lake itself is about 600 meters deep, the deepest lake in the United States and fed almost entirely by snow melt. On the day we visited, it was gorgeous: perfectly sunny and not a breath of wind. The water was crystal clear, in full display of its famed blue color. Because of the windless conditions, many of the unique geologic features reflected on the surface as though it was a mirror. We were lucky enough to have a few puffy, white clouds pass by as the day went on which also provided interesting visual opportunities for photographs. I had visited Crater Lake on a few occasions prior, but never with such fantastic weather. It’s a beautiful place to visit whether you prefer to sit and gaze at the lake from the renovated, historic lodge, or take the Crater Rim Drive in the car. Another option for visitors is to hike around the rim which affords many good views of the caldera and this magnificent place.